1. US natural gas price declines have been spectacular. Natural gas valuations are of course responding to the correction in oil. 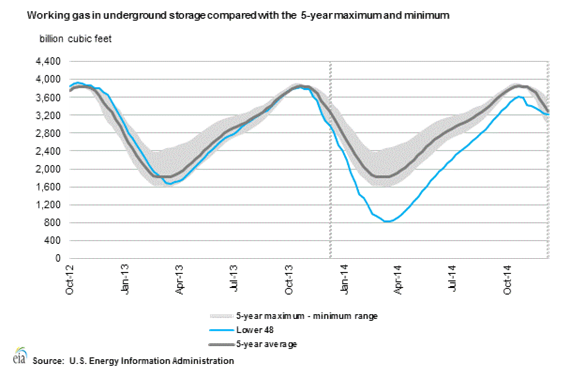 But other factors include strong US gas production and the normalization of gas inventories in storage after the harsh 2013-14 winter. 2. 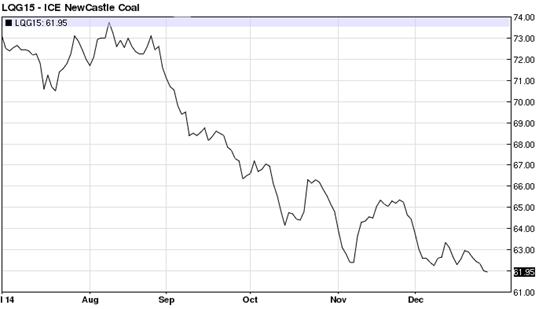 Coal prices have fallen sharply as well, particularly for Appalachian coal (see chart). 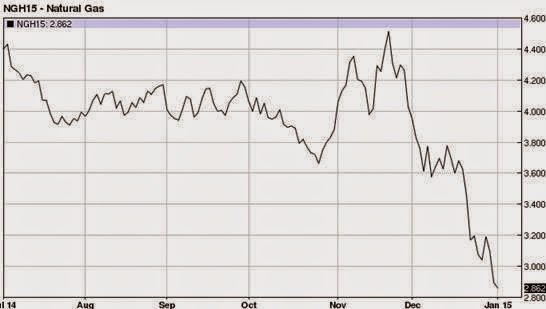 Coal traded in Asia (chart below) has also been under pressure. 3. Price declines have not been limited to fossil fuels. Even uranium futures have been selling off in spite of rising Japanese demand, as nuclear reactors go back online - see chart. 4. Expectations of weakening profitability for alternative energy sources, including wind and solar, are showing up in the significant share underperformance against the broader markets (which started with declines in crude prices). 5. With major sources for power generation becoming cheaper, electricity prices (chart below) have declined as well. As discussed before (see post), this is quite positive for the US (and global) economy. However a number of industries involved with products discussed above will be severely disrupted in 2015, resulting in debt restructuring, consolidation and some job losses.